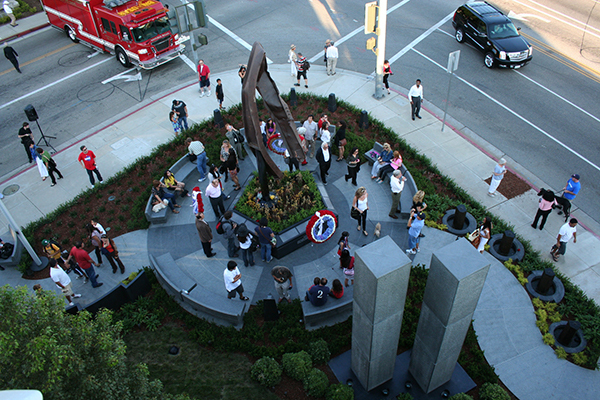 Beverly Hills Fire Chiefs Fund and the Beverly Hills 9/11 Committee would like to thank our growing list of donors and partners for their financial and in-kind support of the Beverly Hills 9/11 Memorial Garden. Sandra Aronberg, M.D. & Hon. Charles Aronberg, M.D. Niver Engineering/Kenneth E. Niver S.E. S & S Seeds Inc.
Emily & Fred Nason, Jr.
Rhoda & James F. Sharp, M.D. *This list does not include all current supporters. Information will be updated as it becomes available.